Check out the pages for the bikes that have worked their way through my grubby little paws over the years. Falcon Black Diamand My first real bike & first love! : Got nicked from a holiday camp. Raleigh M-Trax Ti 1000 With Rock Shox no less: Can’t remember what happened to it. Colango C59 or maybe a C60 !!! Not really: But it’s going to be my next bike, maybe. 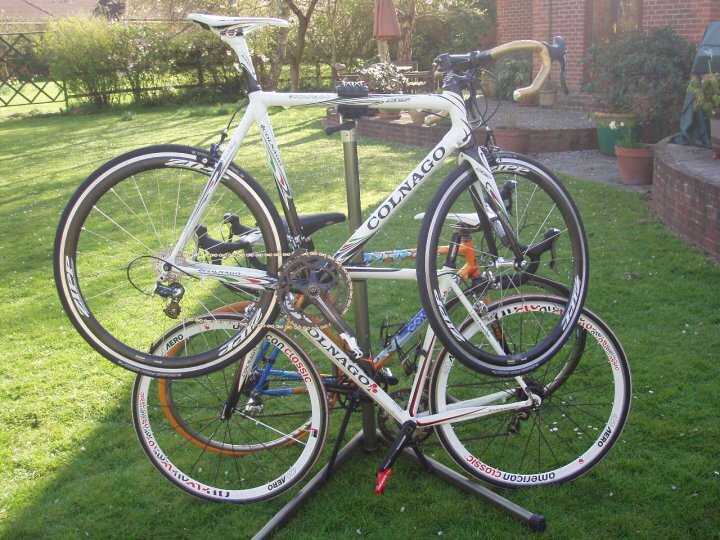 PS: I like Colnago Bikes. I’m still looking for a 56c Colnago Spiderman Frame.My ultimate has to be a Ferrari Colnago.